Vox offers two additional solutions for managing fax traffic and making the most of your RightFax investments. Firstly, Vbill lets RightFax clients reduce the cost of their outbound fax tariffs, by routing all fax traffic over the Vox network – resulting in average savings of 50%. Secondly, Xtenda enables cost-effective desktop faxing – a tool that was traditionally very expensive. Xtenda caters for up to 30 000 fax numbers on a single PRI line (compared to the usual 300 numbers limitation). Implementing Xtenda could slash your external fax traffic costs by up to 50%. Combine these two solutions to make the most savings on your fax traffic. Standard telco charges make up over 70% of the total cost of ownership of a RightFax server. Vbill Lite is free to implement for RightFax clients and offers significant savings. Vbill savings go towards a reduced monthly invoice or as credits on the cost of services like service level agreements (SLAs), software update subs, and upgrades. As many as 50% of employees make use of third party fax services without realising the security risk this creates. Plug the holes by offering a simple desktop solution that you know is secure. Xtenda increases Direct Inward Dialling (DID) numbers on a single PRI, slashing costs and catering for single and multi-branch businesses. Plus, desktop-to-desktop is free. How many pages of faxing per month justifies a RightFax on premise solution? How much does a RightFax solution cost? The total price is determined by components of the solution, thus, a Sales Specialist would need to scope the solution before a price can be quoted. How often is the RightFax license renewed? 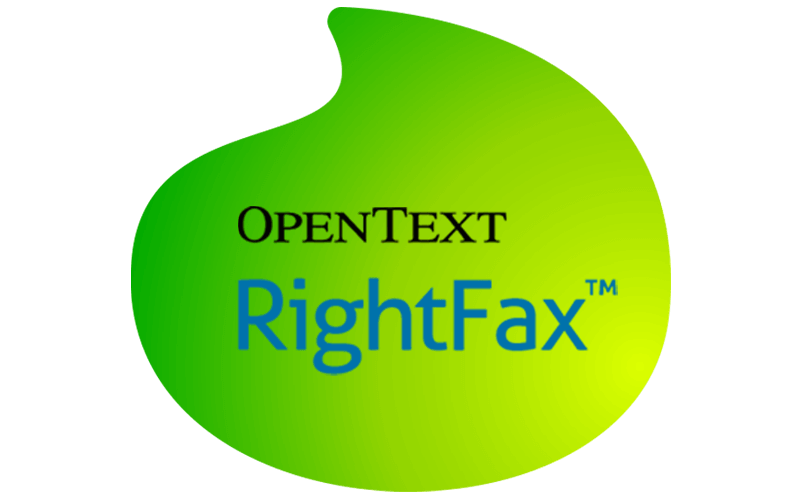 The RightFax license is renewed annually. What is the cost of the RightFax SMP (software maintenance plan/SUS/RightFax license)? 15% of the total RightFax system price. Can fax numbers be ported? Yes. Fax numbers can be ported.